Attorney Fadi Chakour is a medical doctor who left the practice of medicine for the practice of law. As a practicing physician, Fadi treated many patients injured as a result of the negligence of others and observed the resulting harm to their loved ones. Combining his medical experience and legal abilities enables Fadi to be a powerful advocate for injured consumers and their families. 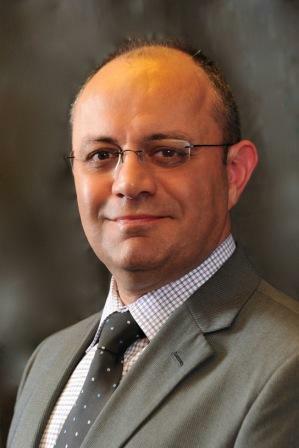 Fadi’s deep knowledge of the healthcare industry also enables him to successfully litigate, negotiate, and resolve complex disputes (billing, contractual, etc.) between healthcare providers and insurance companies and disputes among the different healthcare providers. Prior to joining Terrell Hogan, Fadi was practicing at Cole, Scott & Kissane, one of Florida’s largest defense firms, where he focused on medical malpractice, nursing home, and catastrophic injury defense. Fadi earned his Juris Doctor from Florida Coastal School of Law where he received four CALI Excellence for the Future Awards for being the highest scoring student in four classes and was on the Dean’s Honor List three times. He is a 1994 graduate of Yerevan State Medical Institute in Yerevan, Armenia, where he trained as a medical doctor, and then practiced general surgery. Fadi is fluent in English, Arabic, and Armenian and also speaks conversational Russian and Turkish. In his free time, he enjoys playing tennis, swimming, and volunteering at his church. Fadi is married and the proud father of two children. Personal counsel for physicians in medical malpractice and bad-faith litigation.